If tarpon never got bigger than this five pounder we caught right off Matlacha on a live shrimp I'd still be a very happy guide. These immature fish will hit almost anything that moves and spend the entire fight up in the air. They exhaust themselves in a few minutes and can be photographed and released quickly. 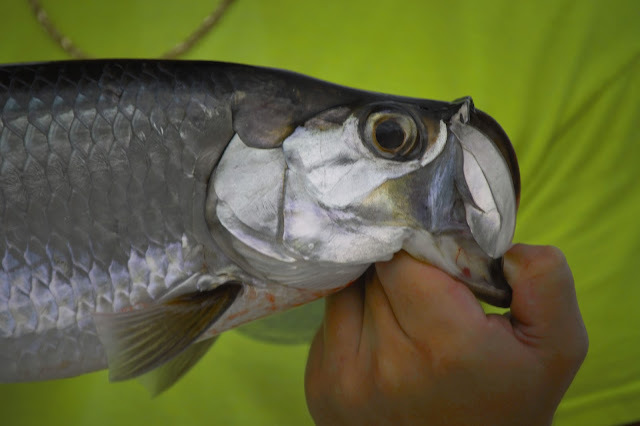 Over the next fifty years this little tarpon could put on another hundred pounds, or easily twice that much if it's a female. They all have to start somewhere and the canals and creeks of our area will be loaded with these juveniles for the next few months.